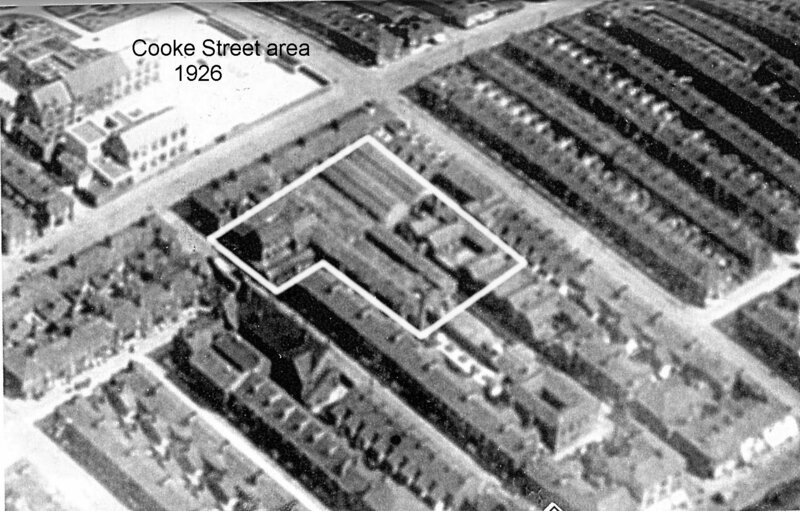 About the group 1926 aerial photo of Cooke St, Hulme, Manchester. Rolls-Royce the company only existed from March 1906, but Royce Ltd had manufactured cars marketed under this name since 1904. Henry Royce set up his electrical engineering company in modest rented premises in Cooke Street in 1884. Business prospered. Ten years later a limited company was launched, the injection of capital enabling the factory to be expanded to cover the site marked. The company supplied many of the electric cranes needed by the new Manchester Ship Canal Company. Further expansion at Cooke Street was not possible, so in 1901 a satellite factory was built on the new Trafford Park Estate to house the foundry and manufacture cranes. Sensing a market opportunity, Royce built his first car at Cooke Street in 1904. This factory was put in the name of the new company in 1906. By 1907 Cooke Street was again too small, and a new purpose-built car factory was built in Derby. Car manufacture continued there till the war. I'm not sure what Rolls Royce did with Cooke Street after car manufacture ceased there. If anyone knows, I'd be glad to hear. I do know an engineering company called Triangle occupied the works in the thirties. The factory was bombed in the war, pulled down in the mid sixties, and the site incorporated into Hulme Park. A piece of sculpture now marks the site of the first Rolls Royce factory. I currently live in Hulme and I'm interested in it's history. Just below the large white open area in the bottom right quarter of the photo, lies the very first Rolls-Royce factory. R-R occupied this site from 1904 until 1910, but little had changed externally when this photo was taken.